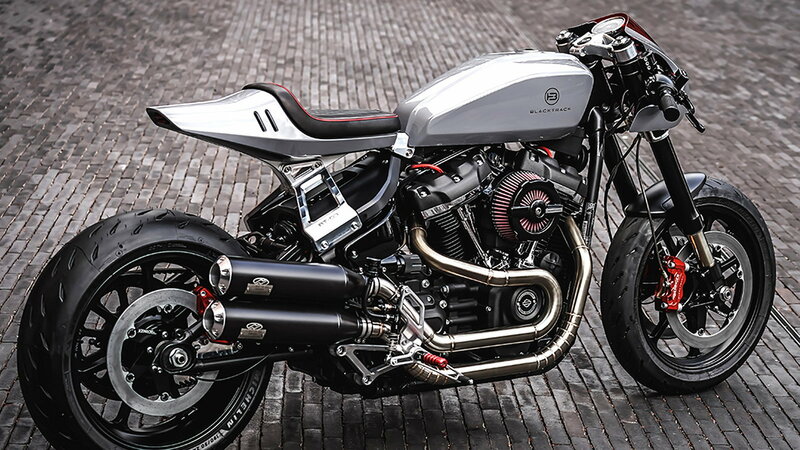 Daily Slideshow: Blacktrack Motors takes different to a whole new level with their latest build. 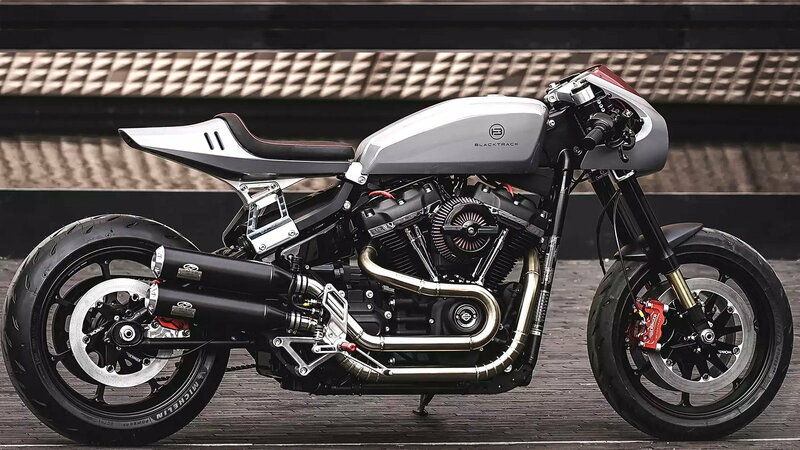 Luxembourg-based Blacktrack Motors took a premium product and made it exclusive. 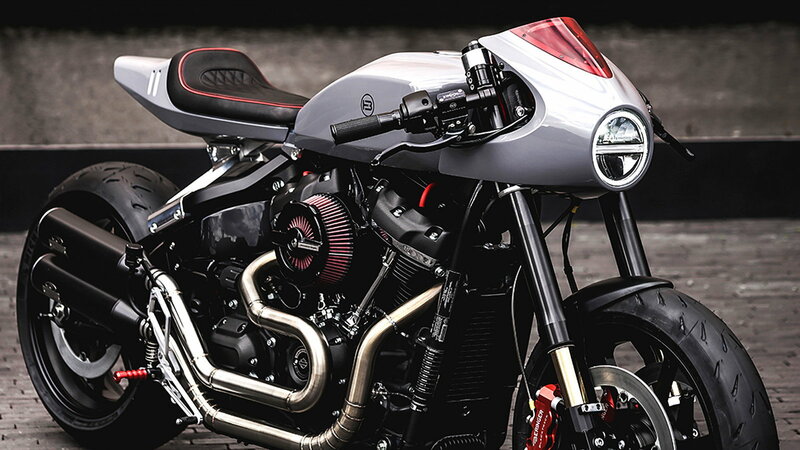 French designer turned motorcycle-builder, Sacha Lakic, offers a glimpse of the future with his 2018 Fat Bob FXFBS café racer. 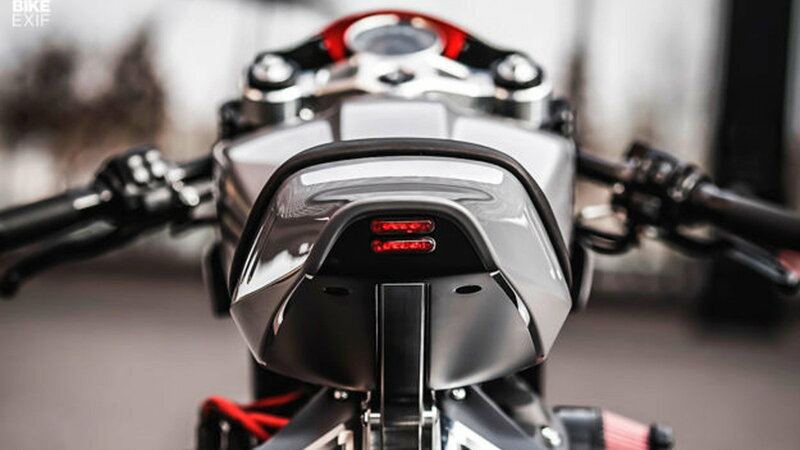 With cyborg styling cues, Lakic's Fat Bob, designated BT-03, is sure to appeal to the next generation of riders — the Motor Company's new target market. 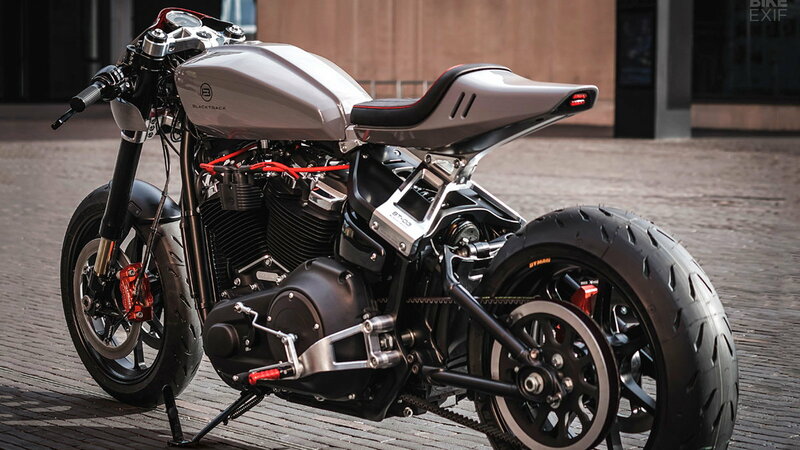 The Fat Bob has always been different, and quick to generate a 'love it or leave it' response. 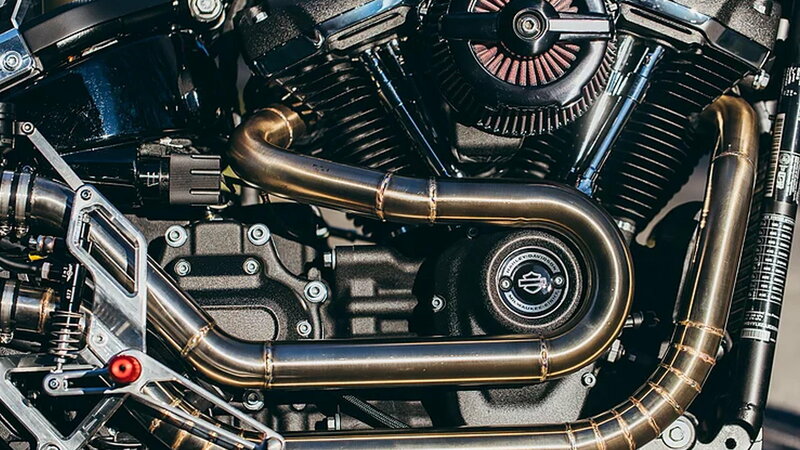 The 2018 Fat Bob took different to the next level, with its new engine, frame, and radical styling. Yet, the media loved Fat Bob — crowing it the 'cruiser of the year.' On the heels of the fading café racer trend, Blacktrack Motors' avant-garde custom appears to be different on an entirely new level. >>Join in on the conversation about this cafe racer Fat Bob right here in HDForums.com. Lakic cites his inspiration as the 1977 Harley-Davidson XLCR — another infamously 'love it or leave it' machine. Produced for only two years, the XLCR was a sales flop. Despite looking the part, the XLCR was dubbed a 'narcoleptic tuner' with 'lethargic performance.' The BT-03 promises performance in the looks department, but without any track results, there is no way of telling. 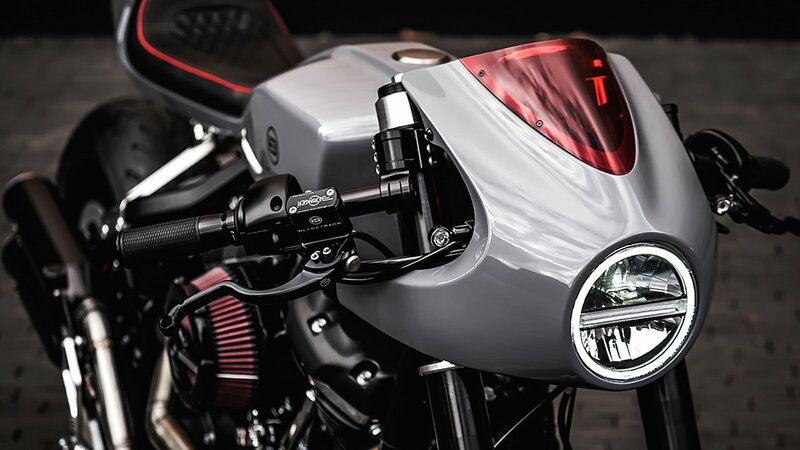 The BT-03 is not the svelte speed-machine of café racer's misspent youth. The crux of a café racer was to pair the lightest and best handling frame with the most powerful engine. In its day, the Norton-framed, Triumph-powered 'Triton' was the zenith of café racers. The Fat Bob come BT-03 is neither particularly light nor nimble, but it is a powerful straight-line brawler. With brute force as a redeeming quality, the BT-03 starts looking like a fun ride. The stock 114 cubic-inch Milwaukee-Eight cranks out over 80 horsepower, and a 110 Foot-pounds of torque. Blacktrack Motors claims 103 horsepower, but this seems like café parking lot exaggeration — even with a Stage 1 setup. Like most boutique builds, the BT-03 lacks any real engine modifications. In keeping with good café racer protocol, 106 pounds were shed from the 'Big Boned' Fat Bob. The BT-03 diet consisted of stripping off the factory bodywork and replacing it with a one-off composite nose fairing, fuel tank, and tail section. 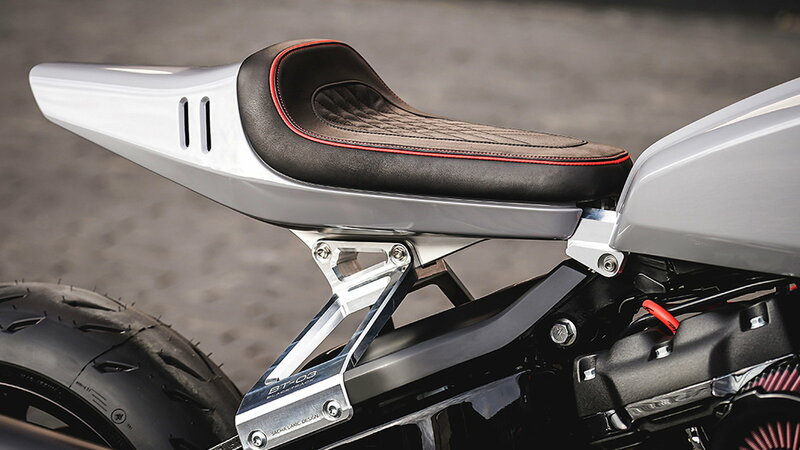 To keep the all-important café racer line, Lakic designed an interesting three-piece aluminum sub-frame that bolts to existing mounting points. The BT-03 gets a full suspension and brake upgrade. Clamping action comes from triple Beringer four-pot calipers and rotors. An Öhlins HD 501 soaks up the rear bounce, while a set of Öhlins FG424 bolted into a custom triple-tree keeps things civilized in the front. Replacing the signature Fat Bob solid wheels are a set of seventeen-inch Dymag UP7X rims clad in Michelin Power RS rubber. Not much of the Fat Bob's character is left on the slimmed-down BT-03. The cyborg makeover hints at a cold robotic future. With only a tachometer and racing rear-sets, the BT-03 suggests a track-only machine. So where is the fun? Most likely still lurking in the Fat Boy's belly as a 114 cubic-inch motor waiting to be tickled — whatever the wrapper.